(CNN) -- On Saturday, European Space Agency astronaut and World Wildlife Fund ambassador André Kuipers will watch from the International Space Station as each time zone hits 8:30 p.m. -- and track to see who on Earth turns out the lights. "We are living beyond our means. That is not sustainable," says Andy Ridley, co-founder and executive director of Earth Hour. "We want to unite people around the world to build a sustainable future." Sydney's Opera House is scheduled to go dark, followed by Asian landmarks such as the Great Wall of China, the Tokyo Tower, Taipei 101 and the India Gate. In Dubai, the world's tallest building, the Burj Khalifa, will switch off its lights. Other landmarks pledged to switch off: The Eiffel Tower in Paris, London's Big Ben, the Brandenburg Gate in Berlin, the Christ the Redeemer statue in Rio de Janeiro and the Empire State Building in New York. Kuipers will watch the spectacle from orbit, sharing photos and live commentary on the event from space for the first time. Taking place on the last Saturday each March, the numbers of people and countries participating has increased each year, Ridley says. "It became easier than ever to connect people around the world," says Ridley. 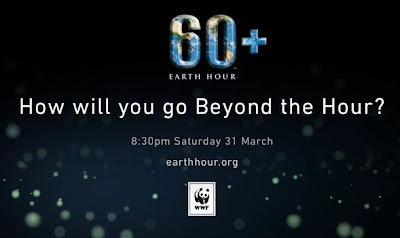 But Earth Hour's long term goal is to go "beyond the hour." For Ridley, the important question is not if action on climate change is happening, but "is it happening fast enough," he says. "We need to move a lot further, faster and as soon as possible. That is the big challenge, that we all move and that the economies can adapt to the change." Organized by the World Wildlife Fund, Earth Hour started in Sydney in 2007, when WWF-Australia encouraged 2.2 million individuals and more than 2,000 businessmen to turn off their lights for one hour to support action on climate change. YouTube is launching a new platform called “I Will If You Will” for Earth Hour 2012, which lets users challenge others to take an environmentally friendly action for the planet. Earth Hour, now in its sixth year, encourages people to turn off their lights for 60 minutes one day a year. It’s celebrated annually on March 31 between 8:30 and 9:30 p.m. This year, the campaign is hoping its impact will last more than one hour. The “I Will If You Will” campaign is hosted by YouTube and was spearheaded by the Earth Hour founders, the World Wildlife Foundation and Leo Burnett. Supermodel Miranda Kerr is also on board. As part of the campaign, Dr. Seuss’s The Lorax movie will turn the main character’s mustache green if 500 children commit to switch off their lights for the hour, the president of Fiji Epeli Nailatikau will walk 30 kilometers if businesses and NGOs make pledges, and Miranda Kerr will teach a yoga class to 500 fans who create their own challenge (a condition which was already met). YouTube also plans to dim its entire site with a virtual light switch for the hour, as it did last year. The social video platform has donated nearly 15 million digital impressions for Earth Hour. 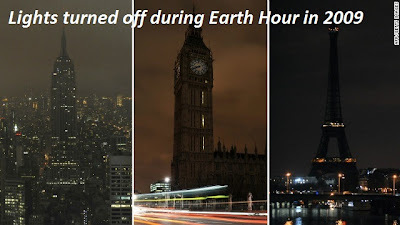 Also joining in Earth Hour this year are more than 5,000 cities and towns in 147 countries. 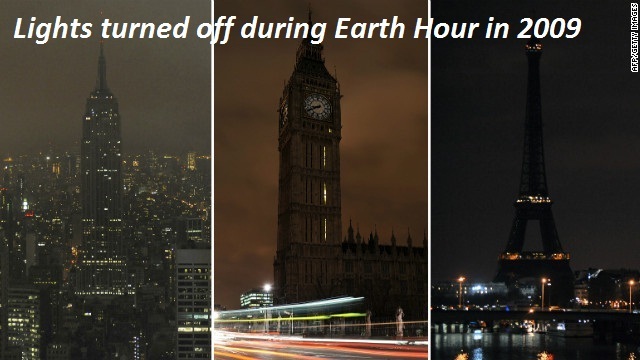 Will you turn out your lights for Earth Hour? Will you challenge your friends to take action?